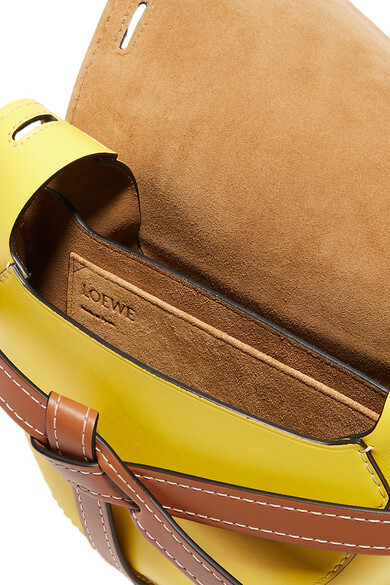 Since taking Loewe's helm, Jonathan Anderson has created a slew of hit bags, the 'Puzzle' being one such success story and the 'Gate' another. 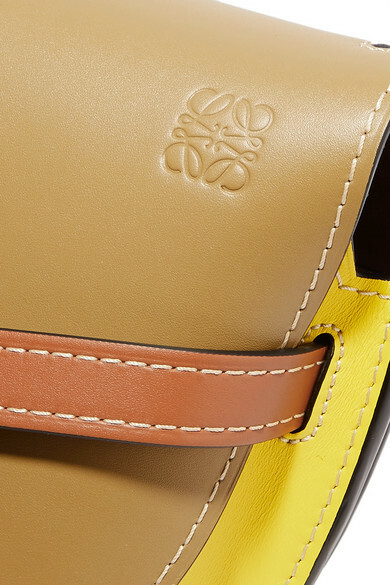 Made by expert artisans in Spain, this leaf-green, yellow and tan version is constructed from butter-soft leather that'll last for years to come. 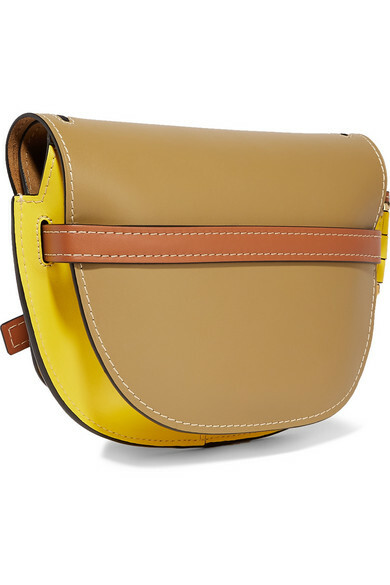 It unfastens to reveal smooth suede lining that'll protect your essentials nicely. 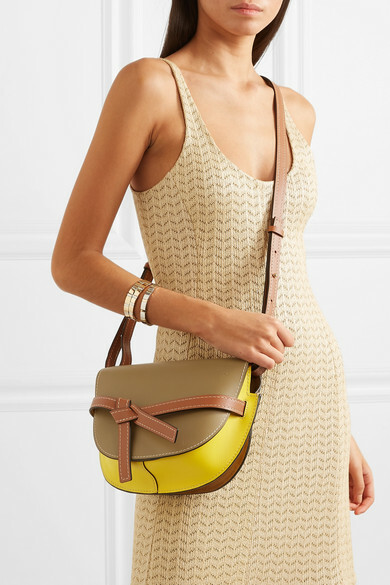 Shown here with: 3.1 Phillip Lim Dress, ATP Atelier Sandals, Roxanne Assoulin Bracelets.